Home » Health & Wellness » Family Health » Sadness – or Depression? Sadness can be confused with depression. You may feel sad after something bad has happened, like a relationship breakup, problems on the job or in school, or trouble with friends or family, but the feelings are normal and usually pass with time. Depression is a medical condition with symptoms that last longer than two weeks. There is no simple answer for why depression happens. It can be brought on by unhappy events, illness or emotional stress, childbirth or weaning, but often there is no direct cause. Some people have genetic predispositions that make them prone to depression. People with depression may also experience other problems, such as anxiety or panic attacks. They may also experience increased headaches, back or neck pain, or stomach discomfort. Unfortunately, people who don’t understand that depression is a medical condition may treat it as a personal failure. They may tell you to “snap out of it” “or “pull yourself up.” Comments like that may cause a person who is depressed to feel worse. They may try to treat their symptoms with alcohol or drugs. These can help you feel better for a while but leave you feeling worse in the long term. Take this quick quiz to see if you may be affected by depression. If you have been experiencing symptoms for at least two weeks without improvement, it’s important to get professional help. Your MPCP doctor or mental health professional can guide you through evaluation and treatment. For many people, talking to a counselor or therapist helps them understand their depression and how to work toward recovery. In some cases, antidepressant medications can help and may be added to treatment. Getting help can make a big difference in how quickly a person recovers. If you or someone you know is suffering from depression, seek help soon and take back control of your life. 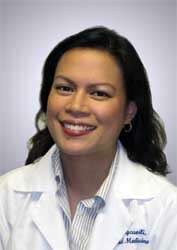 Dr. Agcaoili is certified by the American Board of Internal Medicine and sees patients in MPCP’s Columbia office.